The Lakers have added another player to their roster. Los Angeles has agreed to a one-year, $3.5 million contract with Michael Beasley, according to a report from ESPN. The 29-year-old forward spent last season with the Knicks. 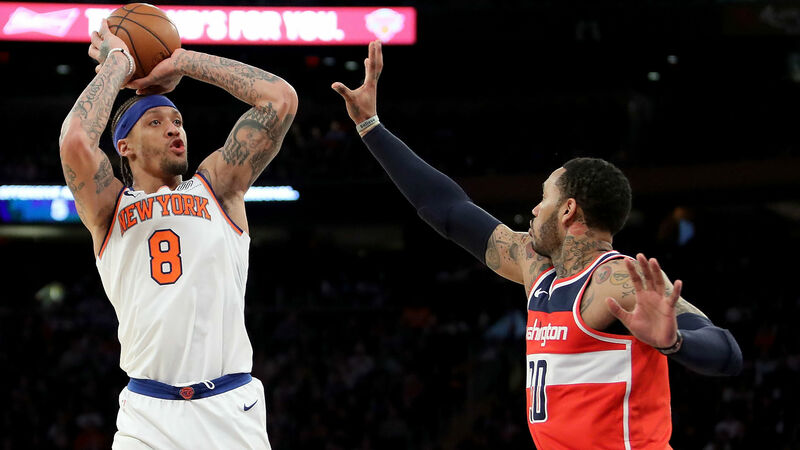 Beasley averaged 13.2 points and 5.6 rebounds on a New York team that registered a 29-53 record in 2017-18. Beasley was picked second overall in the 2008 NBA Draft by the Heat but he has struggled with consistency throughout his career. He’s also played for the Timberwolves, Suns, Rockets and Bucks during his 10 seasons in the NBA. LeBron James announced he was leaving the Cavaliers and signing a four-year, $154 million contract with the Lakers when free agency began July 1. Los Angeles also re-signed Kentavious Caldwell-Pope and inked Lance Stephenson, Rajon Rondo as well as JaVale McGee to contracts this offseason.